Scotland’s Ramage Inc. are one of the best bands that you’ve most likely never heard of. 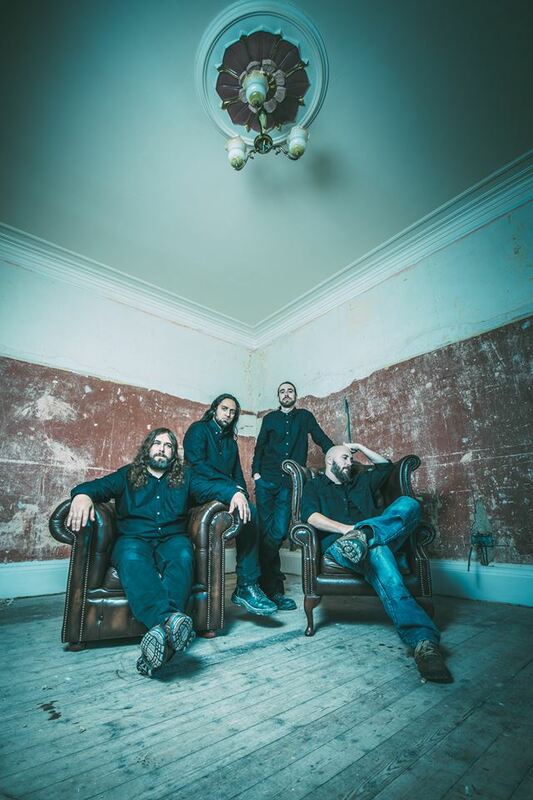 They create a juicy blend of melodic progressive metal with dark, emotional overtones. It’s ripe with punchy technical drumming and fat riffage topped with super melodic leads and engaging vocals. 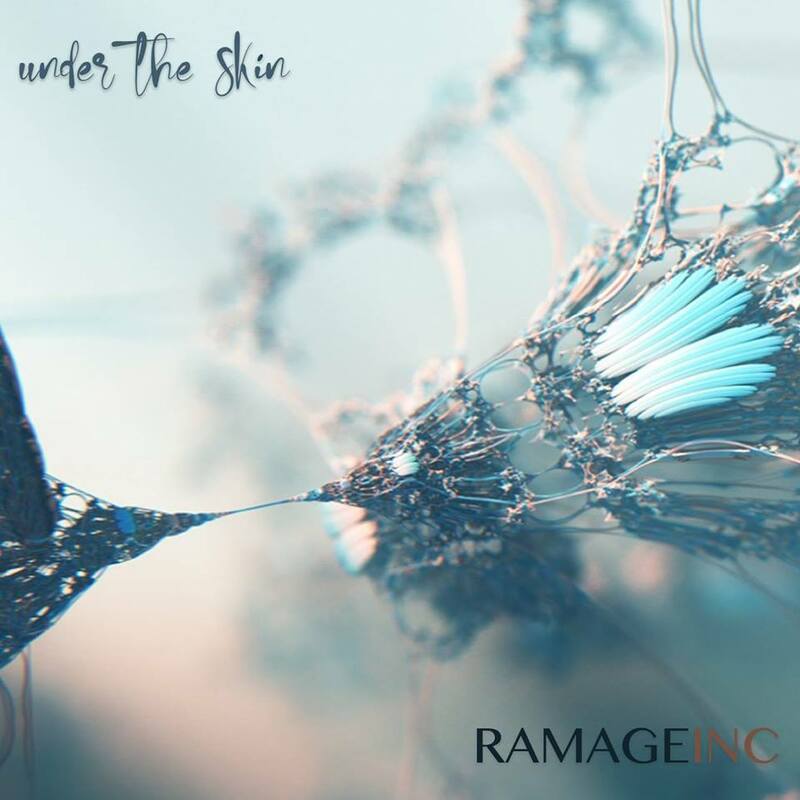 They are set to release their third full-length album, Under the Skin at the end of this month and I, for one, have been eagerly awaiting this new installment of the Ramage Inc. anthology. The band released their first EP, Screaming Melodies back in 2008, and listening to it now I can tell that they were really searching for the sound they wanted. It wasn’t until 2013 that their first full length, Feel the Waves, arrived in all its melodic prog glory. It was truly a sound that would make one of singer/guitarist/founder Brian Ramage‘s main influences, Devin Townsend, very proud. Then two years later they released the epic Earth Shaker album and increased the prog level with epic compositions. Now as we hit the last quarter of 2018, they are getting set to release their newest nugget of sonic supremacy, Under the Skin. The album kicks off with “Blood is Burning Red”, a melodic instrumental (aside from some chanting), intro to set the tone. That’s one thing that I liked about Feel the Waves because it had a couple good ole Ramage Inc. instrumentals. They are a band not afraid to shut down the microphone for a while to let the music soar, whether it be a completely instrumental track, or long melodic breaks in their tunes. This, for me, was an excellent way to start. We only need wait til the third tune before we hit the epic of the album, “Overload,” clocking in at just over 8 minutes. It spends the first 2 minutes setting the instrumental scene once again before drastically changing with a tom based drum beat that almost sounds like something went wrong. I can assure you it was all intended as these dudes know what they’re doing, especially their drummer Hammy who definitely raises the bar for his performance on this new album. The overall dynamics of the drum parts on Under the Skin are unlike any of the previous albums, with blast beats, insane double kick and massive time signature changes, it seems that Hammy wanted to push the envelope a little more in regards to his contribution. Around the 5-minute mark the groove on “Overload” tightens right up and we’re struck by the incredibly melodic lead/solos that Ramage Inc. is really good at including in their music. It’s not overdone guitar wanking at all, but also does not lack the technical abilities of some of the greats. It just seems that they focus more on the complete melody of the song and avoid sacrificing it for flair. The album’s first single, “Strive” displays a bit more of the Ramage Inc. formula and is accompanied by a music video that you can view below featuring the whole band rocking out. Chunky, in-congruent melodic riffs along with guitar leads that would make David Gilmour drool (I use Gilmour because I believe he could solo over a jackhammer and make it beautiful); this song embodies the essence of the band. From the instrumental “Pale Blue Dot” to the seemingly Thom Yorke influenced atmospheric ballad “Alone” which ends the album with a beautiful symphonic string section, Under the Skin is a 12 track sonic package full of dynamics, emotion, beautiful and dark melodies provided by excellent players. Just when I think a band can’t really get any better, Ramage Inc. raise the bar for their own brand of melodic progressive metal and gives me another album I know I’ll be overplaying for years to come.